Col. Brian M. Rees & Dr. David R. Leffler, (Abstract). Stress reduction using the TM program: Solution to problems arising from combat stress. 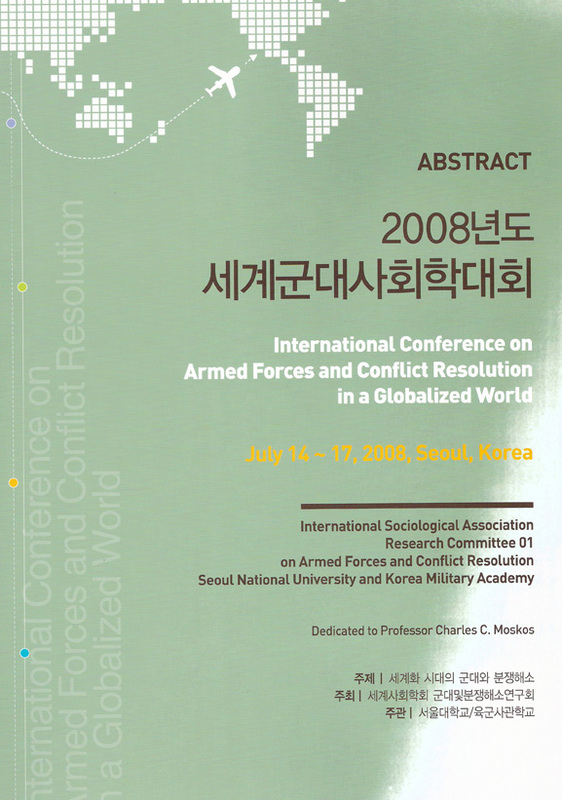 In the proceeding of the “International Conference on Armed Forces & Conflict Resolution in a Globalized World” July 14 – 17, 2008, Seoul, Korea, Session 3, p. 16. Stress-related problems caused by war are not confined to the place and time of battle. Each soldier is part of a larger social fabric that includes family and society. The direct and indirect costs of dealing with these stress-related problems, including Post-Traumatic Stress Disorder (PTSD), are significant and often the families of soldiers suffer. The Transcendental Meditation program involves a simple, non-religious, psychophysiologic practice demonstrated in over 600 research studies to reduce a wide variety of stress-related problems. A random assignment study of Vietnam veterans, published in the Journal of Counseling and Development, found this program to be effective against PTSD. Instruction in the program, followed by three months of regular practice, significantly reduced eight out of nine measures, including emotional numbness, anxiety, depression, alcohol consumption, insomnia, family problems, and unemployment. Meta-analyses published in peer-reviewed journals provide evidence for superior effectiveness of this program over others in the areas of anxiety reduction, lowering blood pressure, self-development, physiological relaxation, improved psychological outcomes, and decreased use of drugs, alcohol, and cigarettes. In conclusion, research on this program indicates that it produces effects on mind and body that are opposite those of chronic stress. (click on the photo above) describing his experiences practicing the TM program. The issue of Post-Traumatic Stress Disorder (PTSD) has reached public attention in an unexpected way through the revelations that in the past the military medical establishment has failed on major fronts to provide the very best treatment deserved by military personnel returning from conflict. This article, “Combating PTSD” published in OpEdNews on 23 March 2001, was written by Dr. David Leffler, the Executive Director at the Center for Advanced Military Science (CAMS). It explains that the TM program is a scientifically-verified, time-tested solution to help our military personnel, veterans and their families combat Post-Traumatic Stress Disorder (PTSD). Dr. Leffler discusses a new pilot study (under review), Iraq and Afghanistan veterans experienced a 50% drop in PTSD symptoms by the fourth week of TM practice, and greater improvements by two months and three months. This study is summarized in the new book The Resilient Warrior: Healing the Hidden Wounds of War by Jerry Yellin and Dr. Sarina Grosswald. Post Traumatic Stress Disorders: PTSD News & Information also reprinted this article. “Meditation Could Help: Reducing Stress-Related Problems at Military and VA Facilities.” Editorial by Dr. David Leffler titled “Meditation Could Help VA: Reducing Stress-Related Problems at Military and VA Facilities” published by Military.com, the website of the largest military and veteran membership organization in the United States, with 10 million members and later as a headline story in OpEdNews. Lieutenant Dan Burke, US Navy SEAL Teams (Ret.) found the Transcendental Meditation technique to be “tremendously beneficial” during combat operations in Panama while serving with the US Navy SEALS in 1989. On this webpage there is a link to his testimonial and a picture which shows him practicing the TM program in the jungle of Panama. US Army War College masters program degree research paper by Colonel Brian M. Rees, M.D. entitled “The Application of Strategic Stress Management in Winning the Peace. Dr. Rees gave a presentation on this topic at the Association of Military Surgeons of the U.S. (AMSUS) convention on 12 November 2007. See an original 412 word version of the letter “Meditation Effective PTSD Treatment” by Col. (Dr.) Brian M. Rees and Dr. David R. Leffler that was edited and retitled “Meditation studied in ’85.” It was published online in the 24 Jan 2011 issue of the Navy Times and on page 5 of the 31 January 2011 issue of Marine Corps Times..
Transcendental Meditation helped within a short time after learning (click on the photo above). Colonel Rees is quoted in Military Officer about a side benefit for military personnel when using the Transcendental Meditation technique. The article describes alternative treatment approaches to combat Post-Traumatic Stress Disorder (PTSD). Military Officer magazine is the flagship publication of Military Officers Association of America (MOAA). This entry was posted on Thursday, July 17th, 2008 at 9:12 pm	and is filed under Articles. Both comments and pings are currently closed.